In these emails the scammers claim to be associates of the disgraced former arrested ENRON CEO Kenneth Lay. They seek your help in moving millions of dollars in secret funds through your bank account, promising you a slice of it, but first you must send money to a securities company, lawyer or bank. As far as we can tell this scam has no connection to any associates of the late Mr Lay at all. It's a spin-off of the "Yukos oil" scam, which also doesn't have any connection with that company or its chairman. Because of this history, the "Enron" scam still uses a Russian name for the sender in the inital format. The criminals are based in Africa, where all emails are sent from. It's the classic Nigerian fraud with a slightly modified storyline. business associate that can handle a capital project. 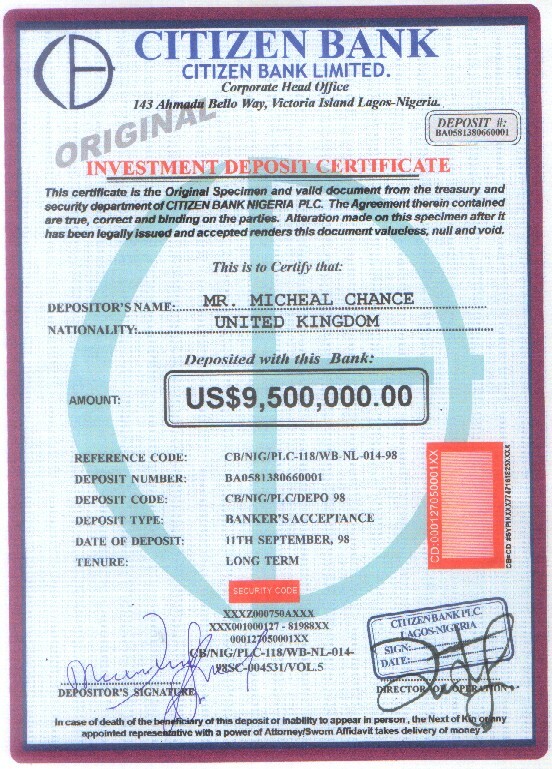 to assure you of utmost confidentiality in this transaction. of your consent to handle this This project.